Some storage units have a 2 ½ ft. dock, and all units have either cylinder locks or LAI padlock. The 20' x 50' and 40' x 50' have a service door and overhead door with opener. There is only one storage space located in the office area that is climate controlled. Door heights range from 8’ to 14’. All units can be accessed any time of day. 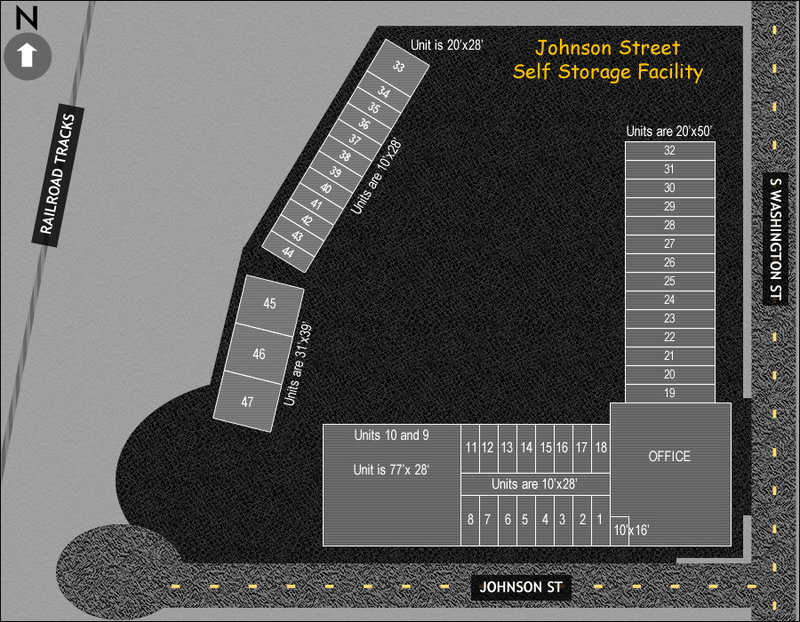 The 10' x 16' Climate Controlled storage unit. 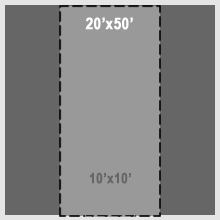 The 10' x 28' storage unit. 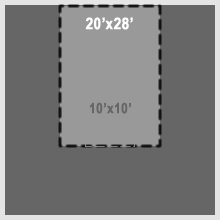 The 20' x 28' storage unit. The 20' x 50' storage unit. The 28' x 77' storage unit. The 40' x 50' storage unit.